The animated ad has graceful neon-green butterflies flying out and above homes in the nighttime. The view pulls back to reveal first a town at night and then the entire U.S. with lights ablazing in the dark. Winsomely it begs, “Project Luna, join us.” The appeal is on the screen for 4 seconds and if you read fast, you will see it is sponsored by Sunovion. Neither my husband nor I had any idea what was being advertised, so I pulled out my handy tablet and Googled Project Luna. Up popped an animated website with similar, soothing graphics of green nighttime moths. The copy claimed “Because we understand healthy sleep habits may work alongside medication to manage insomnia.” Immediately to the right of this headline was an offer for Lunesta at $0 (yes, zero dollars) and many of the legal required disclaimers in small text below. With just a click or 2, but not on the front page, were tips for better sleep hygiene. I don’t like teaser ads. I had no idea it was sending me to a website designed to sell me a sleep aid. I am very uncomfortable with advertisements that don’t clearly state the name of the drug or even the name of the medical condition. It allows the pharmaceutical company to create an enticing environment that draws the consumer in without the consumer being forewarned. A siren call of calming, soothing butterflies lulling the consumer. The website itself is beautiful, it’s easy to navigate and pushes the drug and has pharmacologic information easily available. It has non-drug suggestions. I’d hold this up as a model of good pharma advertising except for one thing. The drug does very little — almost nothing — to aid sleep. A little research showed me this is not exactly true. 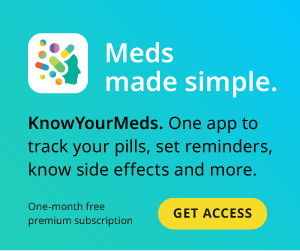 A clear, consumer-friendly “Drug Facts” review of the study presented to the FDA to base approval upon is available online and was developed by doctors Steve Woloshin, H. Gilbert Welch and Lisa Schwartz, all affiliated with the Center for Medicine, the Media and the Public at the Dartmouth Institute for Health Policy and Clinical Practice. The study included 788 adult insomniacs, half were given a sugar pill and half of the adults got Lunesta to take daily for a total of 6 months. The sugar-pill people fell asleep within 45 minutes each night, the Lunesta takers within 30 minutes. A net gain of 15 minutes, not much difference. The definition of insomnia includes sleeping less than 6 1/2 hours per night. Sugar-pill takers got on average 5 hours and 45 minutes. Lunesta takers got 6 hours and 22 minutes. That is definitely better, but Lunesta did not solve the insomnia: the patients did not exceed 6 1/2 hours. Lunesta also did not get the majority of users to 7 hours of sleep as claimed online. Not to be overlooked, more Lunesta takers reported many more side effects, such as a metallic taste in the mouth, than sugar pill users. “One sleep expert, Dr. Mahowald of Minnesota, said that Ambien had received the most publicity because it was the most widely used. But ‘there’s no question that any of the sedative hypnotics can do this,’ he said,” the New York Times reported. Maha Ahmad, MD, MMSc, Associate Director of the Sleep Disorders Institute in New York, reviewed side effects of “hypnotics” as the drug category is called in a recent Q&A. In addition to side effects listed above, she warned of a higher risk of falling in the elderly. I don’t have insomnia, but the times I’ve been sleep-deprived have alerted me to what a negative effect insomnia must have on a life. However, Lunesta doesn’t “fix” insomnia. It has more side effects than a sugar pill. Lunesta users are risking Ambien-like side effects. I’m not convinced that the benefits of Lunesta outweigh the risks.